The mission of Operation Food Search is to nourish and educate our neighbors in need to heal the hurt of hunger. Established in 1981 to address the growing problem of hunger, Operation Food Search has become the largest distributor of free food in the bi-state area helping to feed the region's poor. Operation Food Search distributes more than 1.5 million pounds of food and household items to 250 community partner agencies that in turn feed 120,000 poor people every single month. Nearly half of the recipients are children. The OFS service area includes 30 Illinois and Missouri counties surrounding the City of St. Louis. 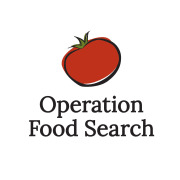 Would you recommend Operation Food Search?